Have you ever had an ex-boyfriend like Jigs from 'On the Wings of Love?' Then this list is for you. If you've been watching On the Wings of Love, we're pretty sure you've been extremely annoyed with Jigs—the ex-boyfriend who threatens to break up our OTP, Clark and Leah. If you have a Jigs in your life, don't panic. Just like Leah, it's best to treat him with respect (no matter how exasperated you are) and let him down firmly but gently. 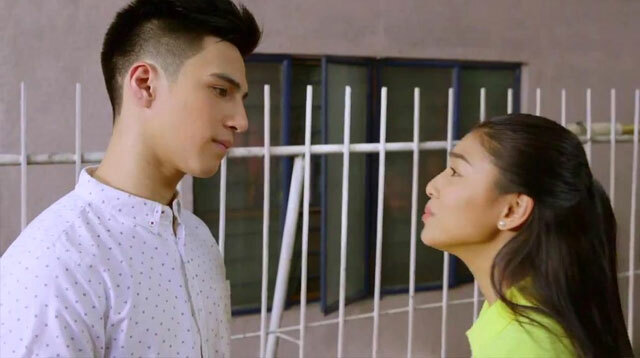 Also, props to Albie Casiño for playing the part of the annoying ex so well! 1. He still calls you by your pet name even if you've broken up a long time ago. Jigs insists on calling Leah "Lalabs," even when she's already "married." No wonder she doesn't want to answer his calls. 2. He follows you around everywhere, hoping that things could just go back to the way they were. Jigs followed Leah halfway across the world just to be with her! It's actually kind of sweet. Too bad she's in love with someone else. 3. He makes grand gestures in an effort to win you back. Does Jigs really think showing up at Leah's doorstep with flowers in the middle of the night will work? 4. When you and your crush are having a moment, he rudely interrupts. When Clark and Leah are singing or dancing together, Jigs is right there giving them the evil eye. Ugh! 5. He thinks every guy who notices you is his competition. Come on, Jigs, do you really have to show off your muscles just because Clark did? 6. He makes promises you know he can't keep. Jigs says he can change and be a better person for Leah. We like Leah's answer—that he should only change for himself and not for anyone else. 7. He makes decisions about your life without even asking for your opinion. Jigs says he'll marry Leah and take care of her. But did he even ask her what she thinks about that? No wonder Leah's so mad! 8. He still wins the approval of your family. 9. He throws a fit every time things don't go his way. It may seem romantic when two guys are fighting over you. But in reality? It never ends well because someone always gets hurt. 10. He keeps reminding you of all the good times you had. Although you know he's not the right guy for you, he holds a special place in your heart and you wish him nothing but happiness. This story originally appeared on Candymag.com!